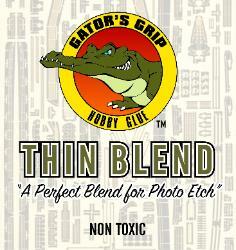 Gator's Grip Hobby Glue is non-toxic, non-yellowing, transparent acrylic polymer adhesive for photo-etch. It instantly grabs hold of the photo etch and gives a strong, flexible bond when dry. 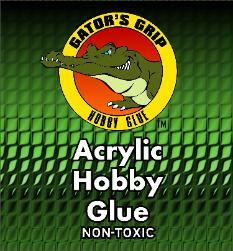 Once cured, Gator's Grip Hobby Glue holds up well to both acrylic and enamel paints.